Erie's Y-Co Dances, circa the '60s, have made a comeback. On Saturday, Sept. 27, attendees can serendipitously go back in time to an era when ordinary Americans breathed new life into our great nation. The Civil Rights Movement, the Voting Rights Act, and the Great Society Program were all – to say the least – game-changers to society. These issues became the norm rather than the exception – and on some level, they are wars that are still being waged today. But the '60s were also a time of peace and harmony. Teenagers would watch American Bandstand religiously every Saturday afternoon on their black and white televisions. And locally, Erie even had its own version. 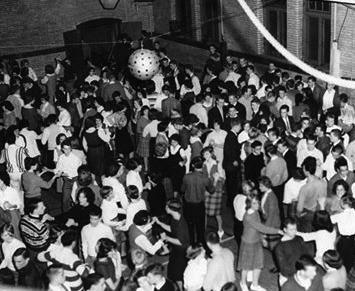 The Y-Co Dances, originally known as ASTEC (representing Academy, Strong Vincent, Tech, East, and Cathedral Prep), were the elite dances held every Saturday night for high schoolers. And it's now back, and in its third year of its revival. Popular music from the '50s, '60s, and '70s will be performed by Ron Howard and the Band Cruisin'. Hula-hoop, twist, and jitterbug dance contests will be held. There will also be prizes for best costume, and the evening will close out with DJ John spinning records from this era.